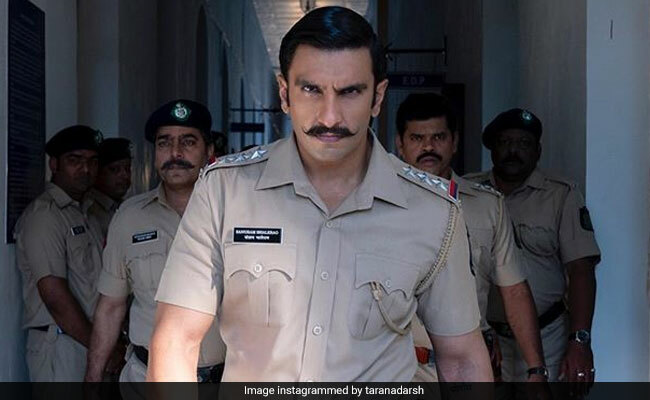 Ranveer Singh's Simmba moving towards the Rs 200 crore mark with quick pace, so much so that it is just a shade under double century, reported trade analyst Taran Adarsh. "Simmba inches closer to Rs 200 cr... Will be the third film  to breach Rs 200 cr mark [Nett BOC], after Sanju and Padmaavat," he tweeted on Tuesday. After 11 days at the theatres, Simmba currently stands at a total of Rs 196 crore and counting. On its second Sunday, Simmba scored an impressive amount of Rs 17 crore (it had made Rs 31 crore on the first Sunday after release) and entered the second week with Rs 6 crore (almost four times the collection of its first Monday). #Simmba inches closer to Rs 200 cr... Will be the third film  to breach Rs 200 cr mark [Nett BOC], after #Sanju and #Padmaavat... [Week 2] Fri 9.02 cr, Sat 13.32 cr, Sun 17.49 cr, Mon 6.16 cr. Total: Rs 196.80 cr. India biz. Meanwhile, the Rohit Shetty-directed film has already plonked itself on the third spot on the list of 2018's highest earning films (Simmba released on December 28). "Simmba refuses to slow down... Packs a solid punch in Weekend 2... Nears Rs. 200 cr mark... Emerges third highest grosser of 2018," he had tweeted earlier. 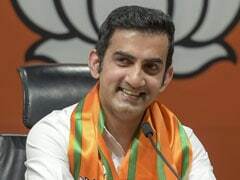 That's not the only feat achieved by Simmba - it is also expected to surpass the life-time collections of Chennai Express and Golmaal Again, both Rohit Shetty directed blockbusters. 3. #Simmba #Simmba is all set to challenge *lifetime biz* of #GolmaalAgain and #ChennaiExpress. Note: Rankings as on 6 Jan 2019. Meanwhile on Monday, Team Simmba celebrated the film's success with a blockbuster party at Karan Johar's residence. Other than the Simmba co-stars Ranveer and Sara Ali Khan, Deepika Padukone, Ajay Devgn, Kajol and Akshay Kumar attended the party. Ajay Devgn has an extended cameo in Simmba in his signature Singham persona.